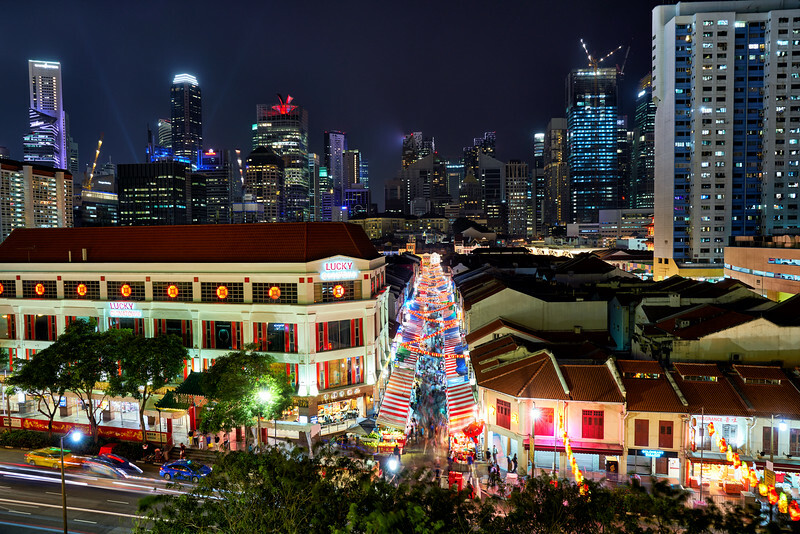 In this blog I want to share a few words on my experience of photography in Singapore. 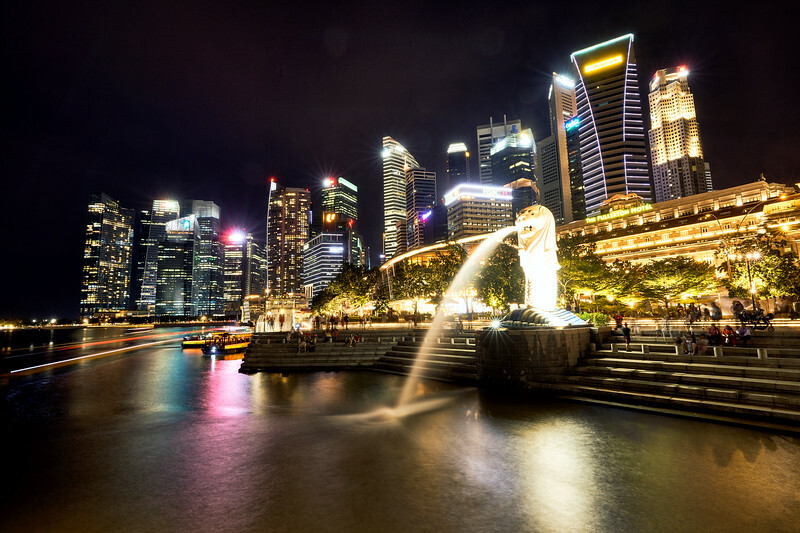 I have visited the Lion City a couple of times in the last years, and there are some places that I think are worth a visit! 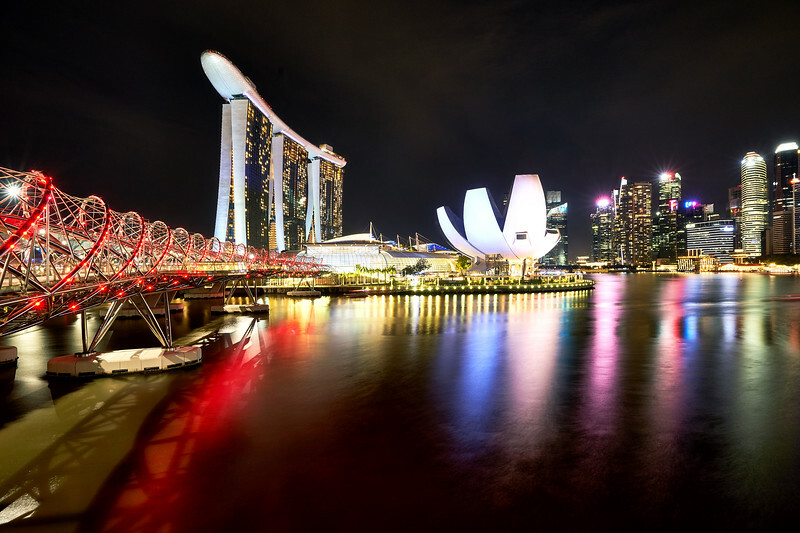 The picture below is Singapore at day, which is not the most common way that you see pictures from this city. At day it is nice (and warm, and moist, and making you feel like you want to jump into a swimming pool), but at night is when it really shines! 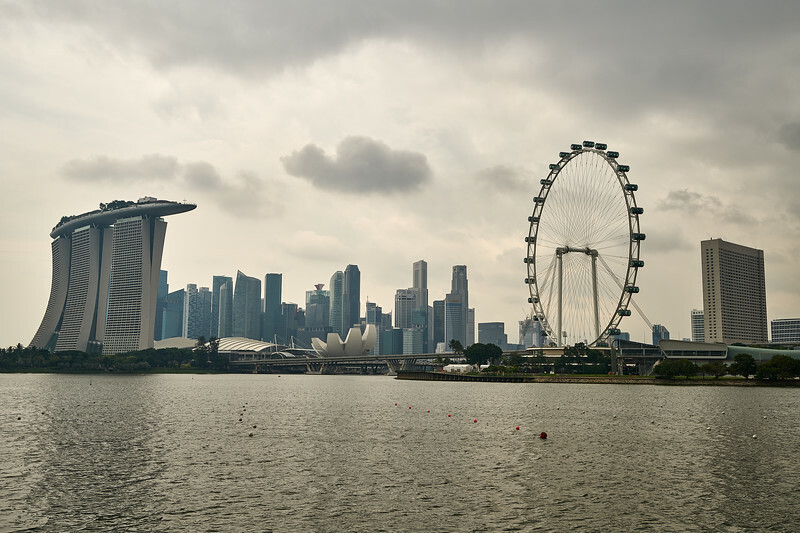 The picture above is take around the Marina Bay area, just follow the tourists! The Merlion statue is quite famous, and a lot of people tend to take a picture here. Armed with a tripod, and some patience to find a good spot this is quite easy to take. The other place I want to share is Chinatown. There is a building there that you can access the roof of, it takes some searching, but when you look for the car park access in the People's Park Complex shopping centre you should be able to find it. 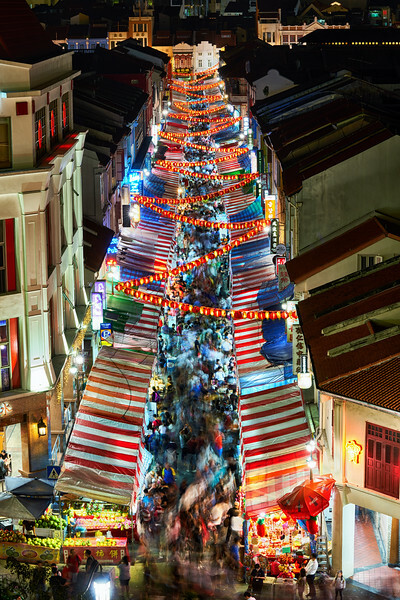 There is access to the roof, on which you get a great view on Chinatown and Temple street. You can see this below. Again, at night bring your tripod! If you get there at sundown (which I was not able to do), you can also get some nice fire skies if you are lucky ;) I also used a telephoto lens to get a closeup of the street where the people where walking along the market stalls. With a slow shutter speed that yields an interesting effect, like a river flowing through the street. What is nice of this spot is that you can get a nice view onto the city, but the high-rise behind it gives great contrast to the somewhat more traditional buildings in Singapore. While you are there also give the food at Liao Fan Hong Kong Soya Sauce Chicken Rice & Noodle a try! You can get some cheap and tasty Cantonese soy sauce chicken there, and also try the char Siu! Best thing is that you can also say that you ate at a Michelin star restaurant for something like 4 Euro's!